When the last drop of champagne has been supped and your party has come to an end, there’s no rushing for taxis or hurried goodbyes. Your guests can simply climb our Grand Staircase and retire to one of our eleven beautiful bedrooms. Nestled on the first and second floors of our grand country house, each generously proportioned bedroom is a perfect blend of period style and modern facilities. 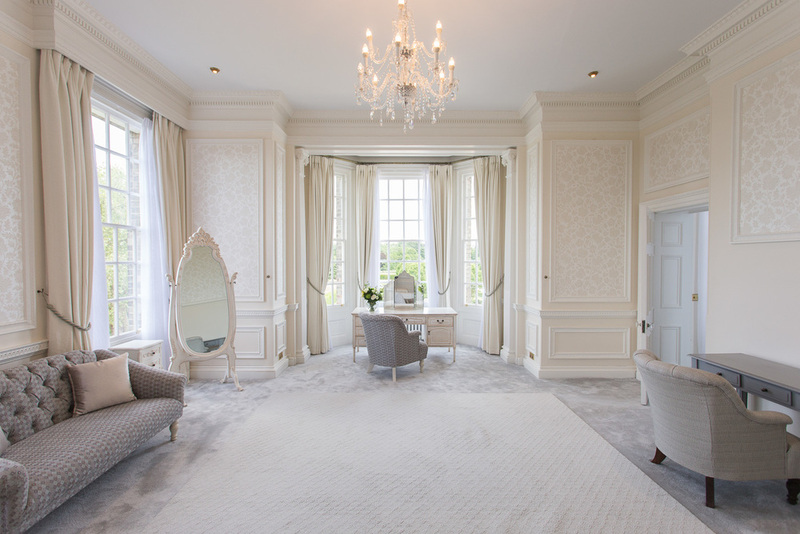 The rooms, featuring luxurious interiors, panoramic views of Hedsor Park and comfortable beds, have all been carefully designed to inspire and relax our guests. In the morning, after a peaceful night’s stay in the glorious Buckinghamshire countryside, your guests will enjoy a relaxing breakfast in our beautiful oak-panelled Library before embarking on their return journey - or a day of fun and country pursuits, should you decide to continue your celebrations for the whole weekend! Our bedrooms have proved themselves as the cherry on top of your perfect party, so simply let our team know your requirements and we will put together a suitable package for you. If you would like a tour of Hedsor House to view our superb space and our bedrooms, please contact us or call our team on 01628 819050.